Home / Festival Announcements / DOWNLOAD 2014 – The Offspring, Status Quo, Steel Panther and Trivium among new acts announced! 12 new bands have been announced! They are...The Offspring, Status Quo, Steel Panther, Trivium, In Flames, While She Sleeps, Letlive, The Black Dahlia Murder, Crossfaith, Miss May I, Blessthefall and Dying Fetus! 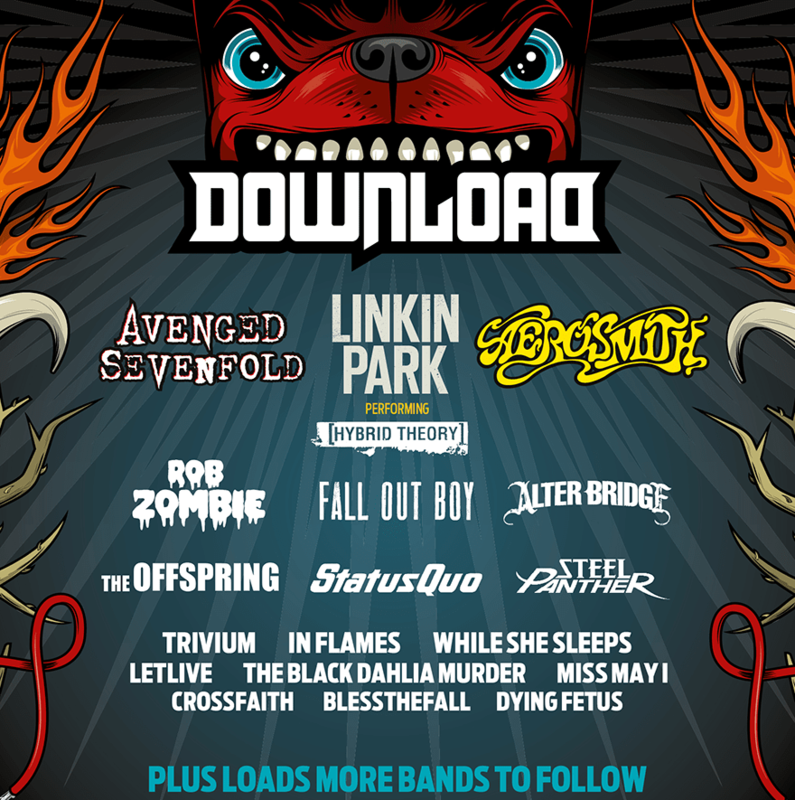 Download Festival’s 12th year is shaping up to be one of its best as the 2014 line up for Europe’s biggest rock festival continues to swarm over every inch of the rock, metal, punk and alternative music landscape like a zombie crusade. 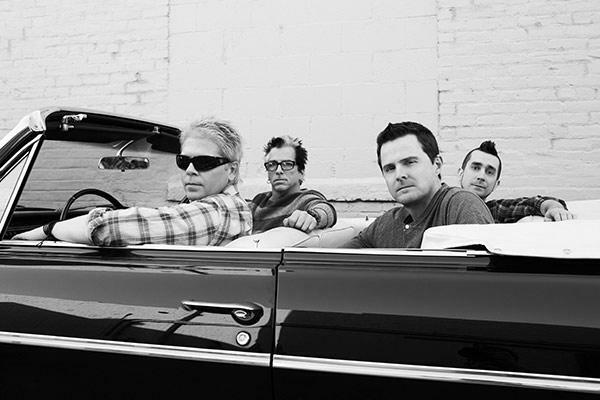 Pop Punk royalty The Offspring will be returning to Download after a long absence from the festival, having appeared just once before in 2008. Guitarist Noodles commented: It’s been six years since we first played Download and we can’t wait to return and rip it up. Stoked! Rock legends Status Quo, who released their 100th single in 2013, make their Download Festival debut after over 50 years of producing some of the biggest guitar anthems in history and will be performing a purely greatest hits set. On the prospect of returning to Donington, frontman Francis Rossi said: When Status Quo once again take to the Donington stage, it will have been 32 years since we headlined the Monsters of Rock Festival on August 21st 1982. That year saw the Falklands War, the launch of the Commodore 64, Aston Villa winning the European Cup and the raising of the Mary Rose. You might say a lot has changed since then but we are still rocking, and still playing the Quo hits. See you there. The Quo will be joined by Metal titans Trivium who return to Donington for a very special performance of the set they played at their legendary first Download Main Stage appearance in 2005. Bassist Paolo Gregoletto said: We are thrilled to be returning to Download for our 5th time. In honour of both the festival and fans that embraced Trivium first, we have decided to play our 2005 set list from start to finish, preceded by a set of some our other festival favourite tunes. However, to make it all the more unique, we will be playing this “one time only” set on the Red Bull Stage, the most intimate and intense setting possible for revisiting this special moment in time. We have had some of our best experiences as a band on the hallowed grounds of Donington, and this is shaping up to be one of our most exciting ones yet! Do not miss it! Swedish metallers In Flames will also be joining the bill. Speaking on their return to the Home of Rock, frontman Anders Friden, added: It has been a while since we last played the UK, so we are all excited and looking forward to coming back to play at Download Festival 2014. Covering the classic metal end of the spectrum will be Steel Panther. A firm fan favourite, the spandex-clad, Sunset Strip rockers will be storming the sacred Donington stage for a fourth time. Drummer Stix Zadinia said: Fish and chips. Tea and biscuits. Monty and Pythons. Steel Panther and Download Festival. These are four examples of how nature has been able to strike the perfect balance of harmony and elegance between two glorious and powerful things. We are so excited to come back and play Download Festival 2014. This was the place where we were truly introduced to the UK and it always feels like a homecoming to us. We in Steel Panther, are going to attempt to rock you so hard, that it will take you approximately one whole year to recover, only to muster enough energy to come back to DL2015 the following year to try to handle the power again! Roll on June! Also joining the bill are melodic death metallers The Black Dahlia Murder, Sheffield’s finest While She Sleeps, Arizona’s Blessthefall, Japanese electro metalcore outfit Crossfaith, Californian soul punks Letlive, Metalcore giants Miss May I and, of course, after the phenomenal demand of #whynotdyingfetus Dying Fetus . All of these huge bands will join headliners Aerosmith, Avenged Sevenfold and Linkin Park – playing their celebrated debut album Hybrid Theory in full – as well as special guests Alter Bridge, Rob Zombie and Fall Out Boy – all of whom were announced earlier this month. Also check out Download’s latest viral campaign, Download Family Album. This crowd sourced photography collection will allow members of the scariest non-Addams family on the planet to share awesome rock iconography and Download memories over Facebook, Twitter and Instagram. The Download team will use a tailored #Hashtag to set a new project every week, with themes including Thrash Tats, Air Guitar Antics, Rock Kids and Main Stage Mayhem, so get involved and get snapping!